Adam Waskowski represents clients in trials and arbitration proceedings involving commercial disputes. Recently, Adam and WJY secured a full victory for WJY’s client in a nine-witness arbitration hearing regarding a construction dispute. 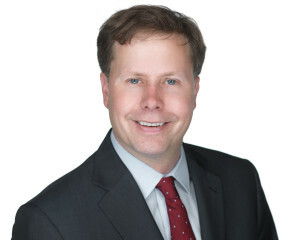 Adam has also represented a manufacturer in a two-week trade secret misappropriation trial, individuals in multi-week trials concerning valuations of companies, real estate and other assets, and a law firm in a multi-day trial regarding a dispute with its client. In addition to trial work, Adam has secured pre-trial victories for clients at the preliminary injunction, motion to dismiss, or summary judgment stage. Adam frequently represents clients in merger and acquisition lawsuits, which often involve disputes about earnouts, royalties or other forms of contingent consideration. Adam also represents other lawyers accused of malpractice or other wrongdoing. He recently served as the Chair of the Chicago Bar Association’s Committee on Attorney Malpractice. In 2015, the Chicago Daily Law Bulletin selected Adam as one of “40 Attorneys Under 40 to Watch.” Adam also was named a Rising Star by Super Lawyers in 2012, 2013, 2014, 2015, 2016, and 2017, and a Super Lawyer in 2018. Leading Lawyers named Adam an Emerging Lawyer in 2015. Before founding this firm, Adam was a partner at Novack and Macey LLP, where he was a member of its attorney malpractice and real estate litigation groups and practiced general commercial litigation. He began his legal career at Lord Bissell & Brook LLP (now Locke Lord LLP). Adam received his undergraduate and law degrees from Northwestern. In law school, he was an editor of the Journal of Criminal Law and Criminology and was on the Dean’s List of excellent students several semesters. Before attending law school, Adam served as U.S. Senator Russ Feingold’s Deputy Press Secretary. Before that, he worked in various service jobs at hotels and restaurants, as an assembly line factory worker, as a local newspaper reporter, and as a youth baseball coach. Adam is originally from the town of Oregon, Wisconsin. He decided he wanted to be a lawyer his junior year at Oregon High School, when he realized that he liked the mock trial team as much as playing sports. He now lives in the Bucktown neighborhood of Chicago with his wife, Lori, and young daughters.